Framed art is ubiquitous, it is in every home and office, more than likely in every room and although we live in an image conscious society, most people have never done custom framing. When people think of custom framing, they think of something that is difficult and painful (expensive). Most shops are very small, poorly merchandised and have a limited selection; they utilize an antiquated distribution system with many layers of middlemen, each taking a profit, ratcheting up the price, so by the time it reaches the consumer it becomes very expensive. 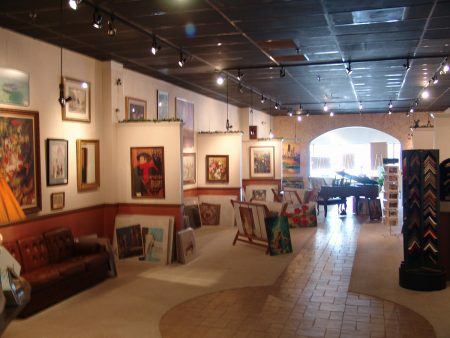 Many retail industries are in decline today due to E-commerce, however art & custom framing will not be diminished, because it is a touchy – feely thing; people want to see the textures, colors and proportion of size and you just can’t get a good feel of that from a computer screen. Another threat to many businesses and industries these days is product obsolescence, with the rapid rate of technology advancement, many products are no longer needed and have become obsolete; this will never be true with art & custom framing, as long as we have living spaces, we will want and need wall décor. So, the only remaining threat then to our growth is “conspicuous consumption”, where we prove the market to the point that we become conspicuous and some big fish comes along and consumes us. This is why we wish to ramp up quickly and become the industry leader in this sector. ©2019-2019 Franchise YOUniversity. All Rights Reserved.